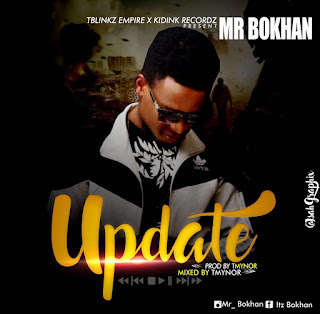 After weeks of anticipation Tblinkz Empire & Kidink recordz finally release the very much talk about single of the label official front liner Mr Bokhan as they present you Update. Update is a song that expresses love in a unique way, the song is a Pop fusion song and it meant to inspire all Love situations. Listen Download below & Enjoy the TMYNOR mixed and Mastered Tone.